In 2018, the International Year of the Reef, the Reef Champion Awards, an initiative of the Reef Alliance, recognise and celebrate the achievements and efforts of outstanding individuals and organisations who have taken action to improve the quality of water entering the Great Barrier Reef. 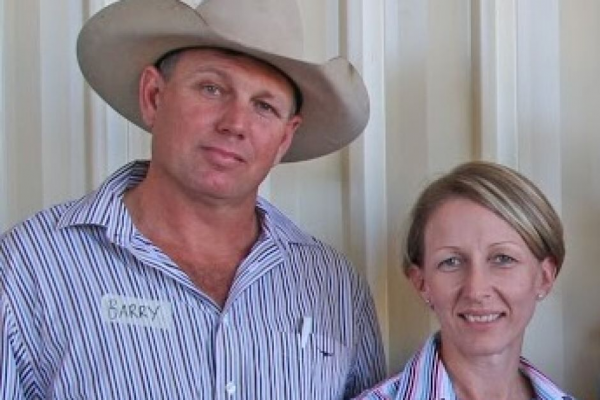 Gerry Deguara is a second-generation farmer located in the North Eton in Central Queensland. Gerry and his family farm approximately 800 hectares growing mostly sugar cane but also several pulse crops. He has and continues to be a leading figure in promoting stronger natural resource management within the Australian sugar industry. For Gerry, the journey of improving the sustainability of his large farming operation all started with major changes to water infrastructure and the successful use of centre pivots for irrigation. He has converted farm and harvesting equipment to a two metre controlled traffic farming system maximising the growing area of his paddocks, reduce fossil fuel use, improve yields, improve soil health and reduce the volumes of chemical and nutrient run-off in water leaving the farm. Gerry has a strong focus on using sugar mill bi-products with mill mud and a Bio-Dunder, mixed with urea to now provide the vast majority of the farm nutrient requirements. He has also adopted green cane harvesting thereby eliminating the need for cane burning operations. Gerry freely gives his time to show and explain the many changes in his farming operation and has hosted visits from farmers and Australian and international delegates. Frank Mugica has farmed in the Burdekin for twenty-five years. He first learnt about the effects of his management practices by testing cane runoff from his cane and grazing property in Dalbeg. He has since installed a recycle pit, shielded sprayer, and spray controller, all improving efficiency and reducing environmental impact. In 2014, Frank trialled banded mill mud on his current 120-hectare farm in Brandon and now practices this farm-wide. He joined another project supporting growers adjacent to wetlands to trial nutrient and irrigation efficiencies and has reduced his nitrogen use by 20kg per hectare. Recently, he adapted machinery for strip tillage for green cane trash blanketing. By 2022, Frank plans to be a fully accredited Smartcane BMP farmer. To encourage wildlife, Frank began revegetating the farm perimeter, planting 100 native trees in 2017. He continues planting and weeding for habitat, shade and erosion control. As an “outdoor classroom”, it also helps his daughters, Alaya and Ellyana, to understand biodiversity, pest control, and the balance between agriculture and nature. Frank has embraced every opportunity to better manage nutrient use, improve irrigation efficiency and raise awareness of important environmental issues, both locally and among the wider farming community. Barry and Leanne O’Sullivan have created a system on their grazing property Glenalpine that meets community needs, while being amenable to the needs of nature. They have been able to regenerate pasture through drought, whilst growing the productivity and profitability of their business. Using cattle as a herd, and through a system of management acknowledging what nature presents and utilising it with regeneration in mind, they move the herd across the landscape. These grazing principles allow the land to regenerate and business to grow, the cattle have highly palatable pasture to graze, which aids in maintaining good calving rates, increased weight gain and a higher quality of feed further into the dry season. Barry and Leanne continue to engage in projects outside of their pasture system. These projects have involved several years of monitoring wildlife, gully remediation, fencing dams and wetland areas, followed by public field days onsite. Barry and Leanne completed a Holistic Management training course supported by NQ Dry Topics and implemented highly intensive grazing practices to manage weed infestations, halt gullying, improve pasture composition and improve water quality, and are members of the Grazing BMP advisory board looking for solutions to implement industry wide best management practices. 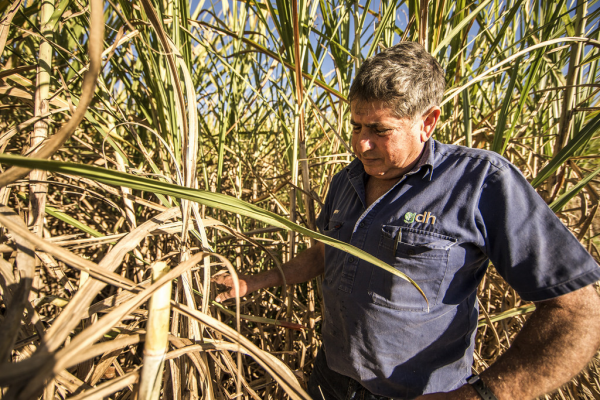 Working collaboratively with government, industry and fellow cane farmers, David DeFranciscis has driven change on his property and within his community to achieve real results for the Great Barrier Reef and the viability of cane farm businesses in the Burdekin catchment in Queensland. David’s journey began in 2011 when he co-designed the RP20 Burdekin Nitrogen Trials (RP20) project to test an industry nutrient management standard on grower properties to reduce high nitrogen applications. David was instrumental in the success of this project and acted as a conduit between local growers and the department while participating in the trials. The project has now validated the standard in the Burdekin and has reduced the amount of nitrogen applied on 23 farms by 500 tonnes. Ray Zamora is a fourth-generation Tully cane farmer with a passion for soil health and leaving the land in a better condition for future generations. After research, he secured a Reef Trust III grant to help modify a dual row double disc planter to include a crimp roller and other componentry. This allows him to terminate his cover crop without herbicide, incorporate organic matter and direct drill plant (with no need for herbicide, tillage or multiple passes). Ray makes his own biofertiliser to activate soil biology and reduce costs, fertiliser inputs and nitrogen loss to waterways. In an industry-first, Ray planted this season’s cane directly into a mixed species cover crop, achieving zero-till planting and maximising soil health benefits. By coupling these initiatives with controlled traffic and zonal tillage practices, he has reduced his synthetic nitrogen rate to 100kg per hectare – 40kg below the region’s average rate. Bob Harris purchased Glencoe in 2000. 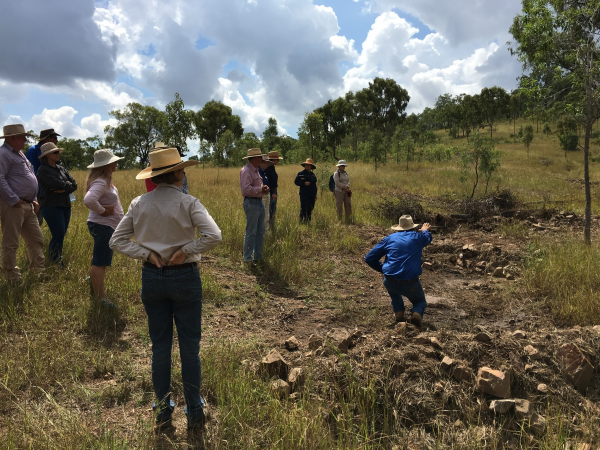 The property was very susceptible to erosion and top soil loss due to poor ground cover and bare ground, through funding support from NQ Dry Tropics and Reef Catchments, a major infrastructure upgrade was planned and undertaken. Projects were undertaken to fence riparian areas and land in fragile condition. In total 37km of internal fencing and 25 watering points were installed through project support. In addition, Bob has installed 23km of land type fencing. This infrastructure has allowed better management of grazing, resulting in improved water quality outcomes and boosting farm productivity. In 2015, Bob completed a Holistic Management training course supported by NQ Dry Topics. Through the implementation of HM principals Bob has adopted a system of rotational grazing which has resulted in increased plant production, improved water infiltration and retention, less land degradation and improved lifestyle and profitability. Violet Vale is a large grazing property on the Eastern side of Cape York with extensive wetland complexes. 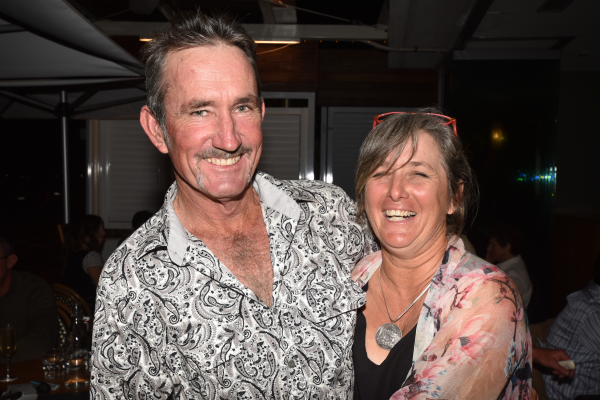 Owners James and Niki Collins, who wanted to take a best practice approach, contacted Cape York NRM in 2014 to discuss options for their new grazing operation. An agreement was made to fence off the wetlands with a 32km exclusion fence to protect the significant natural values of the wetland complex. The landholders then decided to establish an 11,000-hectare cattle exclusion area to remove cattle, feral pigs and horses and increase ground cover. This area is low value from a grazing perspective but sheds significant sediment loads as it includes a large alluvial fan denuded of grass cover from years of grazing. The two projects have created a 21,000-hectare exclusion zone and illustrate James and Niki’s commitment to undertake significant environmental works on their property to protect the integrity of the Great Barrier Reef. Matthew Hinz is an enthusiastic, responsive landholder who takes pride in implementing new practices to enhance productivity and land condition. Matthew is acutely aware of his impact on water quality in local creeks, as well as the GBR. Through his involvement in FBA’s Reef Trust II Gully Remediation Program over the last three and a half years, Matthew has implemented innovative gully remediation works at gullies on his ‘Hillview’ and ‘Forest Home’ properties; helping him to reduce an estimated 5.71 tonnes of sediment being lost annually. Works undertaken at Hillview and soon to be completed at Forest Home, include fencing around gullies and riparian areas to exclude stock, increasing ground cover, and reducing further soil disturbances at the eroding sites; re-vegetation of the catchments above the eroding areas to increase hydraulic resistance; and adequately matching stocking rates to carrying capacity to lessen the impact on the environment. Philip Deguara has been a cane farmer for over 12 years as part of the family farming enterprise. 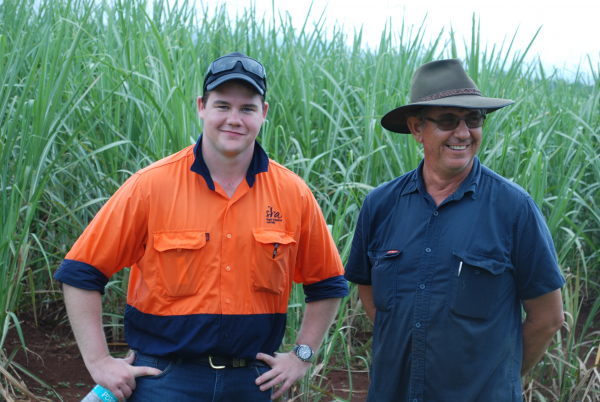 He is a fourth-generation cane grower in the Sandy Creek catchment and has a passion for learning and improving his business. Philip was one of the Sandy Creek growers responsible for implementing the grower-led water quality monitoring conducted with the Department of Environment and Science Water Quality Investigations team as part of RP144C Sandy Creek project. Philip has used his experience to inform other growers about pesticide movement. 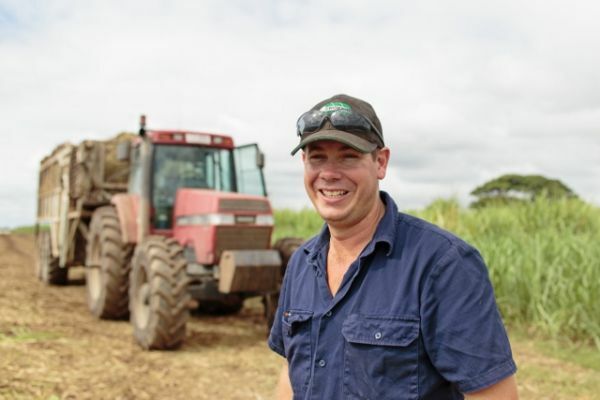 This has led to Philip applying more knockdown herbicides, use of shielded sprays and all applied with rate controllers and GPS to ensure best result possible across their 300-hectare cane property. By implementing these practices, Philip has managed to reduce the number of pesticide applications, saving time and reducing pesticides being applied on his farm. Nathan Stevens owns a farm at Bungundarra west of Yeppoon. The farm produces 1.5 million pineapples per year and is leading the way with improved farming practices to reduce pesticide run-off. 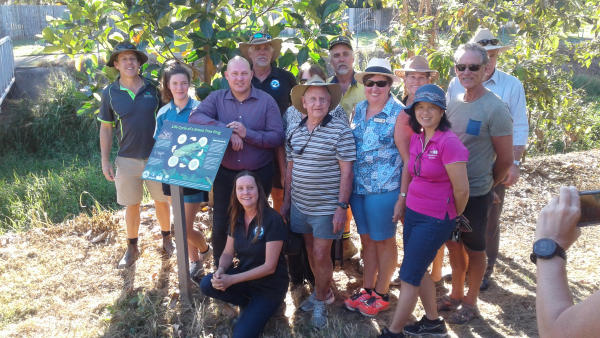 After identifying the potential for improved pesticide management in 2015, Nathan reached out to local natural resource management group Fitzroy Basin Association Inc. (FBA) for help. As a result of this partnership, many modifications and technological advancements were made to the property’s spray rig. The improved machine efficiencies resulted in an estimated overall reduction of insecticides, fungicides, fertilisers and herbicides by 10% each cropping cycle. In 2000, after attending a Grazing for Profit School, the Mt Pleasant Station Management made a strategic decision to move away from a production-based business model to focus on landscape function and environmental health. This decision has resulted in enormous economic and environmental rewards through both ecological enhancement and improved productivity. The introduction of a time-controlled grazing system implementing a short graze period, adequate rest, and higher density of animals has resulted in improved soil health, pasture condition and water quality. Integral to the success of the grazing system is the understanding that adjusting stocking rate to carrying capacity is crucial and forage budgeting and monitoring must be done regularly and continually. Landscape function analysis and Grazing BMP are used as part of a process of constant re-evaluation and modification. Animals are matched to the environment, and breeding focuses on matching traits that complement the low input grazing system. 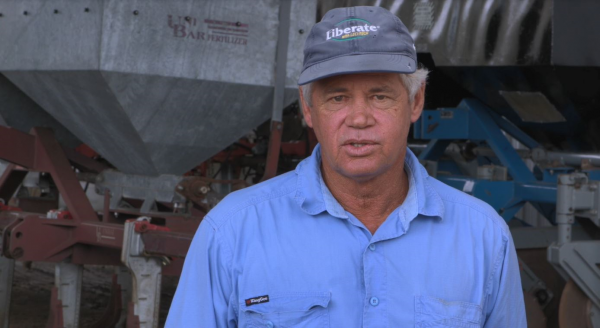 Frank Mugica has farmed in the Burdekin for twenty-five years. He first learnt about the effects of his management practices by testing cane runoff from his cane and grazing property in Dalbeg. He has since installed a recycle pit, shielded sprayer, and spray controller, all improving efficiency and reducing environmental impact. In 2014, Frank trialled banded mill mud on his current 120-hectare farm in Brandon and now practices this farm-wide. He joined another project supporting growers adjacent to wetlands to trial nutrient and irrigation efficiencies. Recently, he adapted machinery for strip tillage for green cane trash blanketing. By 2022, Frank plans to be a fully accredited Smartcane BMP farmer. To encourage wildlife, Frank began revegetating the farm perimeter, planting 100 native trees in 2017. He continues planting and weeding for habitat, shade and erosion control. 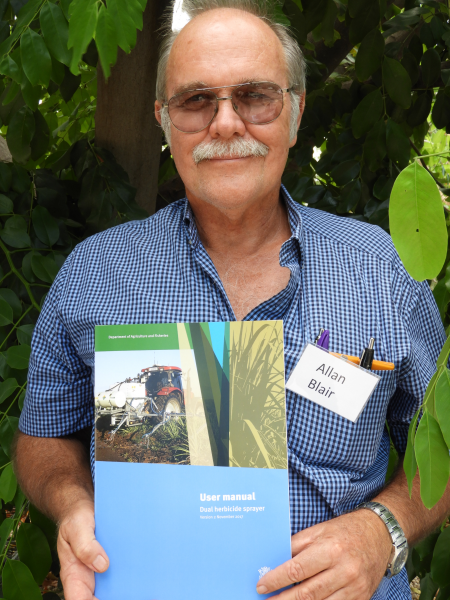 Allan Blair has spent a lifetime working with growers in the wet tropics of Queensland. 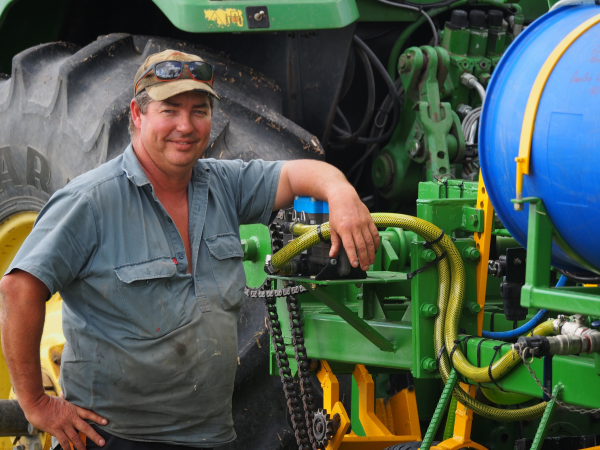 As part of his work, Allan designed a sprayer that can apply two different types of herbicide at the same time. The dual herbicide sprayer applies standard herbicide mixes to the row and non-residual herbicides to the inter row reducing the potential for contaminated run off that can impact water quality in the reef catchments. In 2013 -14, three experimental dual herbicide sprayers were constructed for growers and extension officers to use and evaluate. 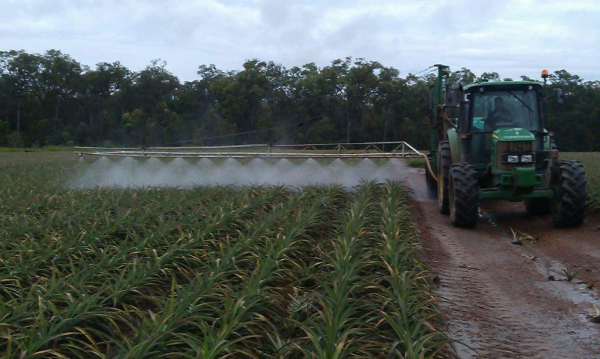 It is estimated that over 14,000 hectares are now being sprayed using the dual herbicide sprayer. This has resulted in an estimated reduction of six tonnes of residual herbicide active constituents being applied to cane – a significant positive impact on Reef water quality. 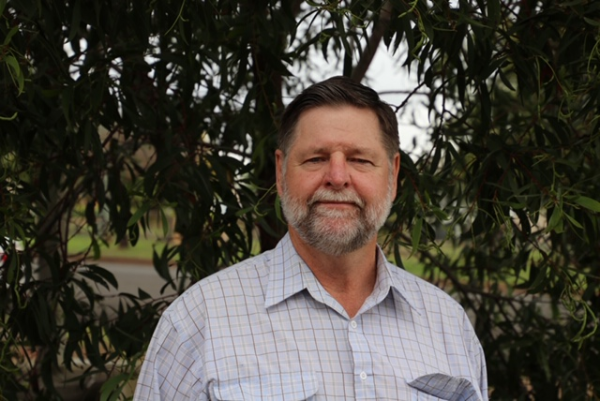 John Day’s career represents over 35 years of achievements working with landholders to enhance their land management practices. In his recent role as Senior Conservation Technical Officer with the Burnett Mary Regional Group (BMRG), John directly oversaw the remediation of over 54 sites throughout the region in construction works. Additionally, he has worked with other regional extension officers on a multitude of other sites addressing actively eroding soils, developing site design plans and overseeing onsite construction works. 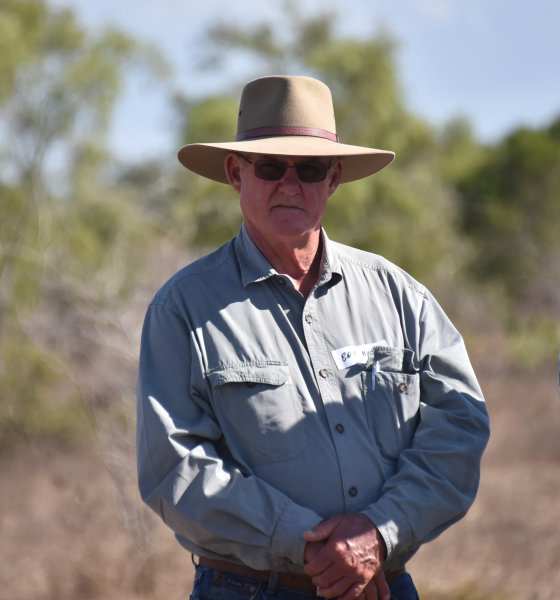 John has been instrumental in promoting landholders’ uptake of best practice soil conservation practices including for example: groundcover and water management; rehabilitation of actively eroding sites; gully, track and hillslope erosion and deteriorating contours bank in cropping areas. John’s work continues to contribute to immediate reductions in sediment loads impacting local waterways and the Great Barrier Reef. The Mulgrave Landcare and Catchment Group have achieved landscape scale change in the Mulgrave catchment with the recent conclusion of a five-year biodiversity project. 33,000 trees were planted, much of which was riparian revegetation which helps prevent streambank erosion and blocks nutrients and sediments from entering the water column. Over the life of the project the group held 31 community planting events and were assisted by hundreds of volunteers and 21 landholders to plant over 17 hectares. The group are also involved in the restoration of a wetland site adjacent to Fig Tree Lagoon near Fishery Falls. It’s believed the site has the potential to provide habitat value and improve water quality through not only the wetland restoration but the installation of a water quality treatment train, including a subsurface bioreactor. Other upcoming landcare projects continue to focus on creek bank repair and revegetation in the lower Mulgrave catchment. 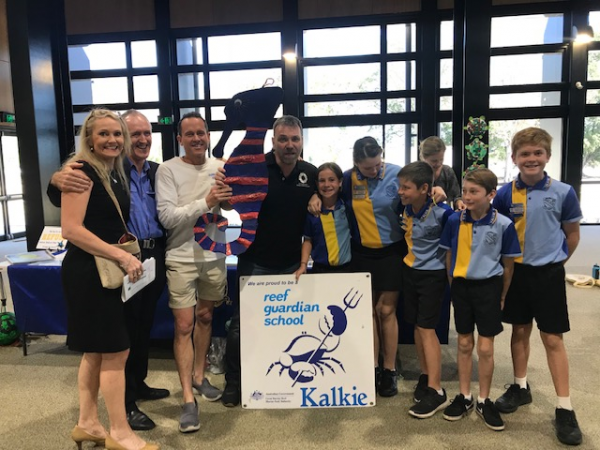 In a world first, the Southern Great Barrier Reef Regional Schools Convention “Reef Together” was organised for 200 students from 20 regional schools to inspire, showcase, engage, workshop and collaborate for the good health of the Great Barrier Reef. Reef Together was designed to make a difference on a regional level, it significantly impacted all attendees, students, teachers, special guests, community members, Councilors and Business Managers. 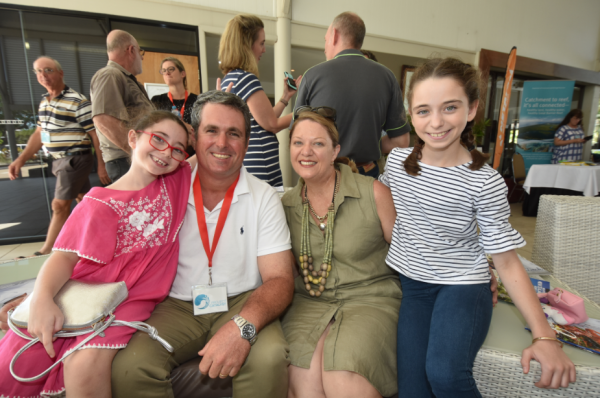 Attendees were given the opportunity to learn from internationally renowned guest speakers including Founder Earth Hour and CEO of Citizens GBR Andy Ridley; Managing Director of Lady Elliot Island Peter Gash; and Anthony Hill from Plastic Pollution Solutions Australia. The students will now lead the way to make a difference to the quality of water, to reduce plastics that end up in the waterways and to ensure the Great Barrier Reef remains healthy and beautiful for generations to come. The Yeppoon Inlet Association Inc. is an innovative and proactive organisation that is working to improve the quality of water entering the Great Barrier Reef by removing abandoned boats and deteriorating jetty structures. The Not for Profit Association, comprising of 25 volunteers cares for 70 boat and jetty sites along the coast of central Queensland. 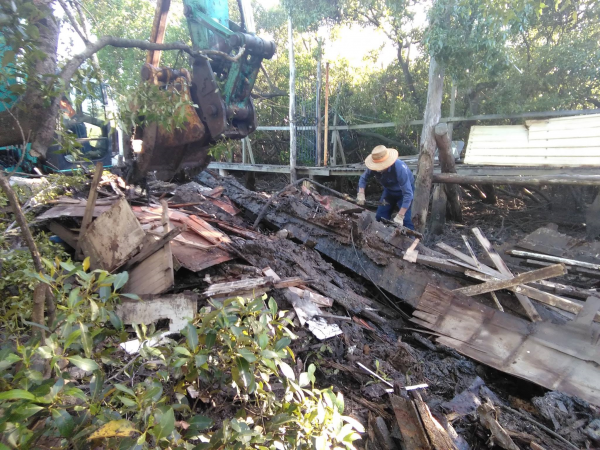 The 2017/2018 “Yeppoon Inlet Creek Banks Cleanup Project” was a first of its kind in Australia and saw nearly 51 tonnes of debris removed from Ross and Figtree Creeks (including wrecks, timber, metal, concrete, rubber, fibre debris and rubbish). This work has prevented major pollution entering the Great Barrier Reef during flood and high tide events. After watching thousands of people use single-use plastics everyday as a marine biologist working on various reefs around the world, Nicole Nash launched The Last Straw on the GBR campaign. 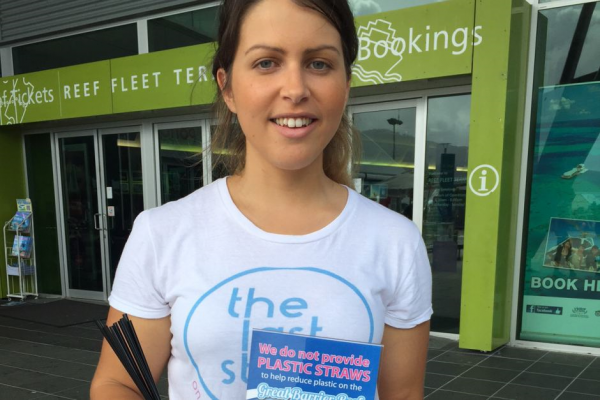 Through a partnership with Wet Tropics Healthy Waterways and Terrain Natural Resource Management group in Cairns, Nicole has taken action to raise awareness that 80% of marine debris actually enters the ocean from a land-based source and encouraged venues within a 200km radius of the QLD coast to go plastic straw free. Over 320 venues across the Reef catchments using an estimated 4.1 million straws per year have now gone plastic straw free, including the Cairns Regional Council, in an effort to reduce waste and plastic pollution in the Great Barrier Reef while improving water quality. 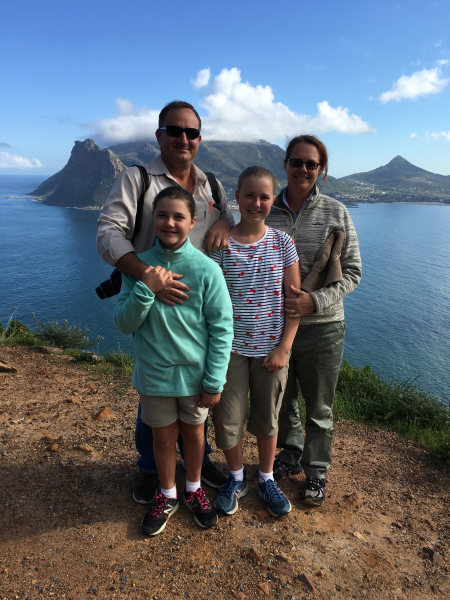 Gavin Rodman grew up on a sugarcane farm in Deeral and is well known and respected by the local farming community. He has worked for Sugar Research Australia (SRA) as an Adoption Officer for over three years, based at both Tully and Meringa in the Wet Tropics. In that time, he has engaged directly with industry to make a tangible impact to environmental sustainability and agricultural productivity. He has been an integral part of the design and delivery of the Cane to Creek project and supported the rollout of Best Management Practice training in the Wet Tropics as the lead deliverer of SIX EASY STEPS training across the cane industry. The training is a science-based nutrient management tool that enables the adoption of best practice nutrient management on-farm. Gavin in currently developing a SIX EASY STEPS toolbox for the industry and guidelines for the Rocky Point district. 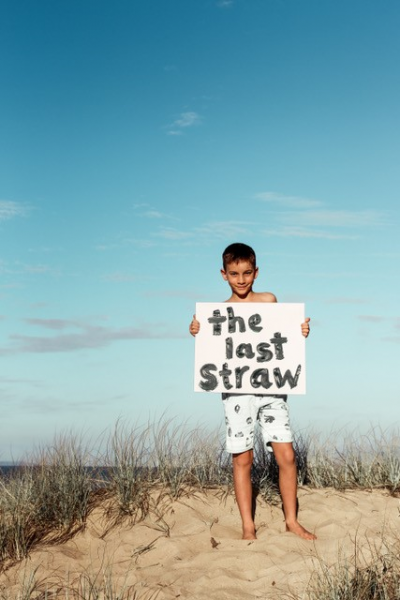 Ten-year-old Sid Crawshaw is significantly improving the quality of water that flows to the Great Barrier Reef by reducing the use of single-use plastic straws in his coastal home-town of Tannum Sands. Sid has encouraged his fellow school students and family members to say ‘no’ to straws and three local business owners challenged themselves to make a change either completely removing or swapping to paper straws, including the Boyne Island McDonalds. Sid has created a tidal-wave of change and has stopped an estimated 8,000 single-use plastic straws from entering landfill or the Great Barrier Reef. However, Sid’s work is not done. Broadening his focus to include all plastics, Sid is currently in working with the Gladstone Regional Council to explore how they can work together for the betterment of the reef. Winners for each category will receive a trophy and the opportunity to attend a study tour at the Heron Island Research Station in early 2019. The winner or their representative will be required to attend the Awards Dinner in Yeppoon on Wednesday 21 November 2018, held in conjunction with the Influencing change for Reef water quality improvement Synthesis Workshop. Travel costs for each of the winners plus one accompanying partner each will be met. The Awards are supported by Reef Trust: Reef Alliance – Growing a Great Barrier Reef project funded by the Australian Government Reef Trust with support from the Queensland Government’s Reef Water Quality Program.